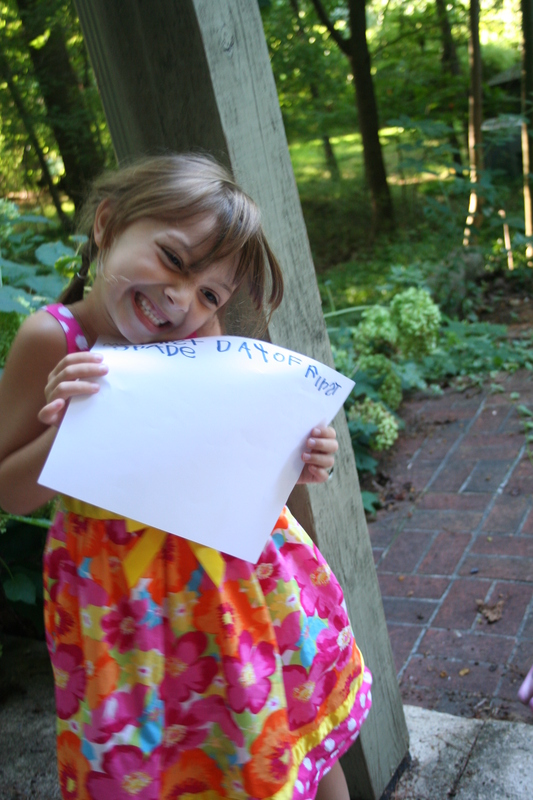 A few weeks into this school year, my first-grader came home talking about a boy. It was a boy she had never mentioned to me before, and she told me that she loved him. Before long, every story she brought home from her day seemed to involve Daniel* in some way. I was a bit bemused by her passion for Daniel. As I have mentioned before, she already has a fiance, a backup fiance, and a back-up back-up fiance. She also has a best friend at school, who is the Diana to her Anne. And although she talks frequently about all of her friends, never before had one person dominated so many of our extracurricular conversations. Then one day I finally met Daniel, the boy I thought I had come to know so well. It was during pick-up after school , which is always a crowded time of day. My daughter pointed toward the building and said, “Mommy, look! There’s Daniel! Isn’t he so cute? !” Looking around the group of children, I saw a blonde boy with a red shirt near the place she had indicated. I waved, and said hi, but my daughter just laughed. No, she told me, Daniel was the boy next to the building, who was holding his teacher’s hand. And in that moment, I realized two things: First, that Daniel has Down Syndrome. And second, that my daughter has no clue. My daughter has no idea — none — that there are many people in this world who view Daniel as being different, or slow, or limited. To her, Daniel is a boy who loves Sponge Bob and Scooby Doo, the one child in her entire class shorter than she is, the kid with the magnificent smile. I don’t think I have ever been more in love with my daughter than I was in the moment when I had that realization, because it was such a powerful indication of the person she fundamentally is. 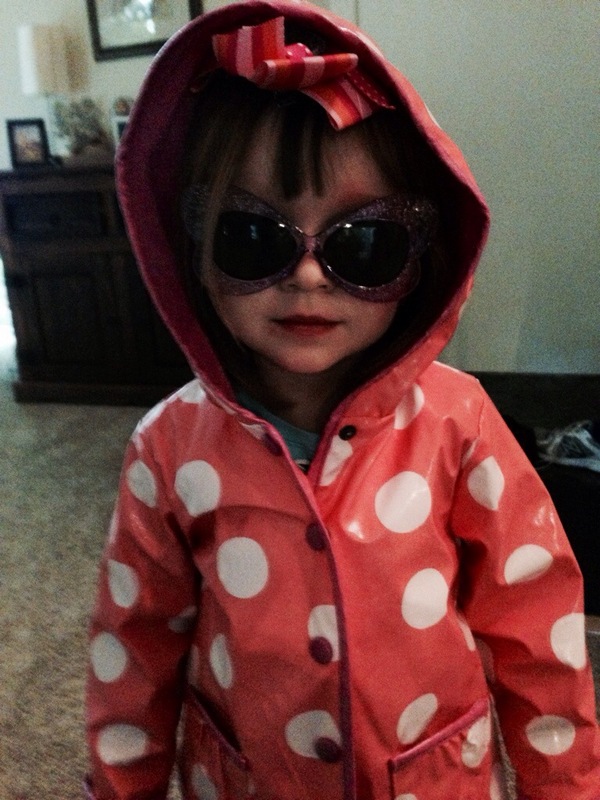 When she was first diagnosed as being on the autism spectrum, I knew that she had superpowers. And one of those superpowers is the ability to see people without being distracted by the buzzing of social perceptions and prejudices that those of us who are neurotypical are so keen at picking up. My daughter sees what people show her, and in Daniel, she saw a friend. The story could end here. It probably should, as far as good writing goes. But I went on a field trip with my daughter’s entire first grade class and I realized something else, something far more important, and I can’t end this post without mentioning it. Those kids? They love Daniel. It’s not just my daughter, who is special in her own way. They all like him. They all wanted to spend time with him, to make him laugh, and to hold his hand and help him when he needed it. I can’t say whether they perceived Daniel’s differences or not. The point is, it didn’t matter. He was as much a part of their group identity as anyone else. And that, my friends, is beautiful. My daughter doesn’t attend a private school. She isn’t in a rich school either — more than half the kids qualify for free or reduced-price lunches. Our test scores aren’t fabulous, mainly because so many of our students are children of immigrants whose first exposure to English has been in their kindergarten classroom. GreatSchools.com rates us at a six out of ten. But I don’t think I would want to send my daughter anywhere else. What her school offers goes far beyond what can be measured. There is a community there, an understanding that we are all in this together. She is being educated — and educated well — but more importantly, she and her classmates are learning what it means to be a part of a group, to value differences, and to respect what makes each of us unique. So the next time you hear that our schools are in crisis, remember Daniel, and let yourself believe that the future is in good hands. *We will call this young man Daniel, because I don’t like using real names, and Daniel is what I would have named a son if I’d had one. Then one day, your child will decide to get dressed all by herself. And on that day, you will come to know the true agony of watching a three-year-old trying to remove her day clothes and put on underpants and a pair of footed, zippered pajamas with no help. At all. And woe betide you if you do try to help. In fact, offering to help is such a rookie mistake that, if made a second time, you really do deserve the wrath your offer will ignite. Unfortunately for us parents, surviving a preschooler’s attempts at independence isn’t as easy as just withholding your assistance. Oh no. There is a host of rules that you must follow in order to survive your day unscathed. I have broken these rules more times than I can count, and I have suffered accordingly. Rule #1: Do not offer to help. This is the most basic rule, and really should go without saying. But I am saying it anyway. Rule #2: Do not attempt to provide child with items necessary for task completion. Don’t you dare give her those socks! Rule #3: Do not look directly at items necessary for task completion. Rule #4: Do not think about items necessary for task completion. They read minds. Rule #5: Do not compliment child. They can sense an unspoken offer for help. Rule #6: Do not provide suggestions or advice of any kind. Even though there is a nearly 100% chance that she will drop the entire bowl of Cheez-its into the toilet if she brings them into the bathroom with her. Rule #7: Do not speak to child. Rule #8 Do not make eye contact with child. Again, they read minds. Rule #9: Do not look in child’s general direction. Rule #10: Do not attempt even the smallest tug of the child’s shirt, even though her head is stuck and she is about to fall of the bed. Rule #11: Do not breathe the same air as child. She can hear your frustration in every sharp intake of breath. Rule #12: Do not exist in near proximity to child. The consequences of breaking any of these rules will be that she has to do it. all. over. again. Including the part where she gets her head stuck in the shirt. Basically, just leave the room with your eyes closed and your ears covered. Stand with your back toward the general direction of your child. Do not think about your child until she has completed the task and given you express permission to address her. Unless, of course, the child with her head stuck in her shirt does fall of the bed, in which case why didn’t you offer to help you terrible, neglectful parent?! First, we danced to some CCR, because how can you have a living room dance party without Down on the Corner? Then I played Hesitating Beauty by Wilco, because I love that song and I have a Norah, and what kid doesn’t want to dance to a song with her name in it? Of course, after playing a song about a Nora for my Norah, I had to play a song about a Michelle for my Michele. So I went online to find a video of Michelle, by the Beatles, and came across My Michelle by Guns N Roses. Somehow, even though I have liked (the softer side of) Guns N Roses since I was a preteen, and even though I am both the daughter and the mother of a Michele, I had no idea that GNR had a song about a Michelle. So, of course, I decided to click on the video, just to see, because the band who gave us Sweet Child of Mine surely could not produce anything un-kid-friendly. Right? So I played the video. As the guitar intro continued, it became clear to me that my girls were doubting whether this video would ever turn into “real” music. I could see the look of doubt dawning on my Michele’s face. Things were not going in the direction she expected them to go. But then, Axel Rose himself appeared at 1:25, and her sweet little face lit up. Ok, actually, she collapsed into helpless giggles. Our boy Axel was dancing shirtless across the stage with a microphone and my girl thought it was probably the funniest thing she had ever seen in her whole 6 years of life. Mommy!” She howled. “Why is that NAKED GUY dancing with a microphone? He looks so silly!” So of course, I started to laugh too, because he really does look kind of ridiculous. We gave up on Guns N Roses and we moved onto the more certain classic. I pulled up a video of Paul McCartney playing Michelle at the White House for our President and his wife (and their daughters, who look distinctly embarrassed at the way their dad is singing along) and I showed it to my own Michele. “This is the real song sweetie. The one I always sing to you,” I told her as I started the video. All in all, it was not a very good moment for classic rock and roll gods in our household last night. And I have come to the realization that, if Axel Rose and Paul McCartney seem totally lame to my young children, there is absolutely no hope that they will ever see me as anything but lame. Except for that time when I used to be Slash. Summer is over and fall has begun and I know this because people on Facebook are talking about pumpkin spice. But before I embrace sweaters and falling leaves and the extra holiday pounds, I would like to reflect a little on what I learned during my vacation under the sunny skies of Virginia Beach. One day I will write a post about my six-year-old’s romances. But for now, let me just say that she has a fiance, a boy who proposed to her when they were both three. And although she has remained steadfast in her plans to marry this boy for nearly three years, she also has a back-up fiance and a back-up back-up fiance. The girl likes boys, and boys like her. She might be a bit too into boys for my liking, but she has always picked the sweet, smart boys. Her fiance (the main one) first won her heart by offering to take one of the big-wheel bikes from their preschool and ride it to find me when she told him that she missed her mommy. Her back-up fiance was reading at a 3rd grade level and building DNA models in kindergarten. And her back-up back-up fiance stuck up for her when she was being bullied by a girl in their class who is bigger than both of them. And then, we went on vacation. On our first day there, my husband took our girls to the beach while I went shopping for groceries. 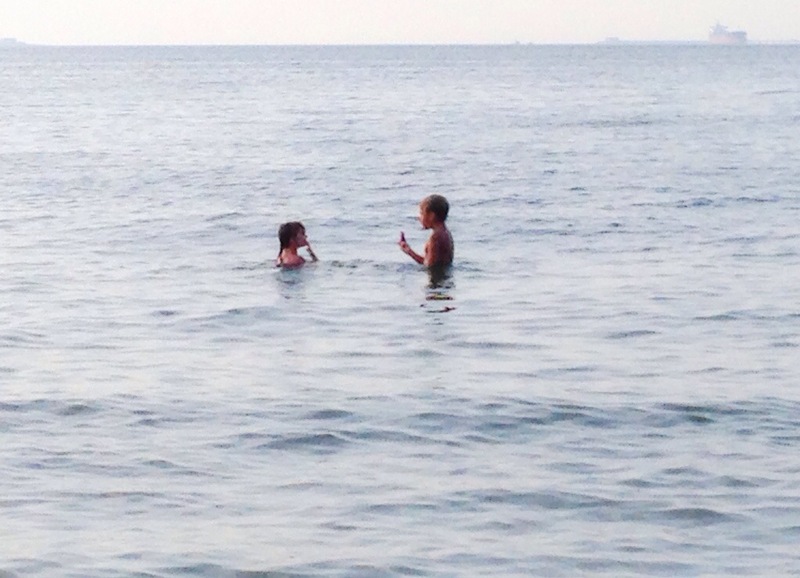 When I joined them later, I came upon this scene: my six-year old, bobbing neck-deep in the ocean, talking to an older boy with sun-kissed skin and shiny golden hair. When they came out of the water, I saw that he was not only handsome in the surfer-boy style but that he also wore an actual shark-tooth-on-hemp necklace. This child was the Benjamin-Buttoned version of my teenage fantasy and he was chatting up my baby girl. She told me later that she was talking to him because he wanted to see her beautiful seashell. So, she gave it to him and they talked and then he gave it back and they just hung out in the water afterward. I have to admit that after she told me this story — about how the strong and shiny surfer boy talked her into sharing her precious seashell, I was sorely tempted to grasp her by the shoulders and tell her that no boy — ever — has the right to have her beautiful seashell if she doesn’t want to give it to him! But I resisted because maybe (just maybe) I was reading a little too much into the situation. It’s too soon for this! 2. 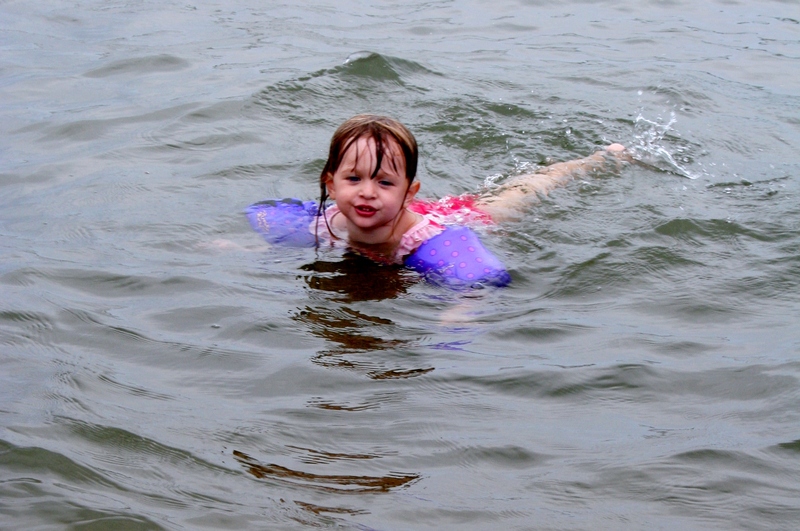 If You Put a US Coast Guard Approved Flotation Device on my Younger Daughter She Will Swim ANYWHERE. My three-year-old is tiny. I weighed her today and, for the first time ever, she has broken 25 lbs. She is a small kid. 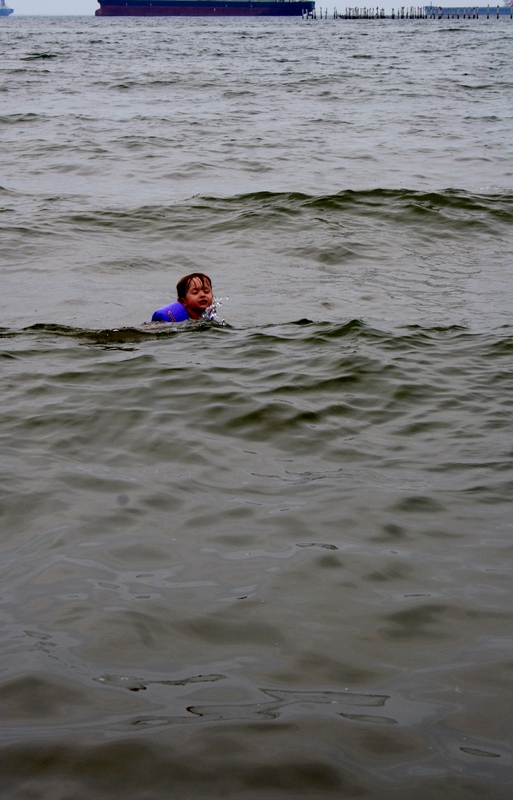 But if you put this little half-pint of a girl in a life vest, there is no body of water that she won’t try to conquer. She was wearing her Puddlejumpers out in the waves where the Chesapeake Bay meets the Atlantic Ocean and she was owning them. 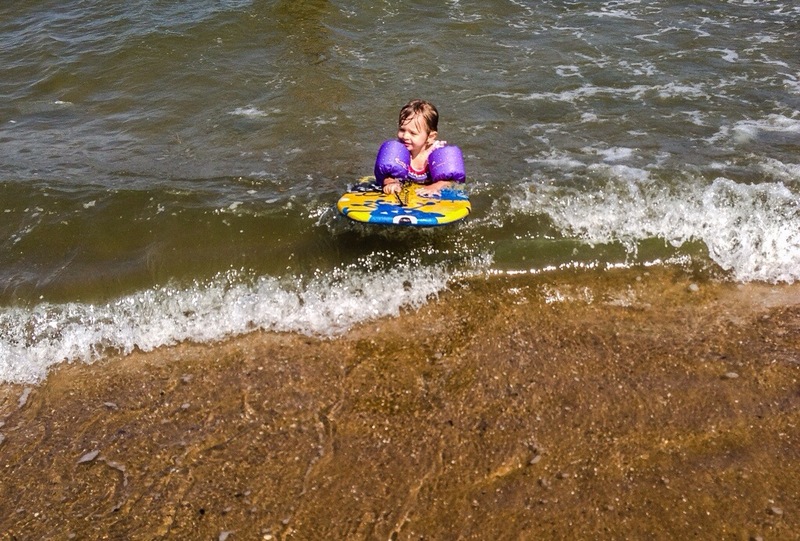 If you give her a boogie board along with that life vest, she will wrap her little arms around that thing and ride the waves like she was born in them. Not only is she unafraid of the bobbing of the water, but she was actually managing to propel herself through it. She was swimming in water that I was afraid to go in. In the wave pool at the water park, she positioned herself in the deepest water, where she could be sure that she would get hit by the waves at their most powerful. There is a certain amount of pride that you feel when you see your own personal tiny person out in the world doing brave and difficult things. In fact, the feeling is almost overwhelming. I can’t stop myself from scrolling at random through the pictures I took of her, marveling at how my fierce little toddler is taming the ocean. Like most beach vacations that take place with children in tow, I spent a good part of ours walking along the shore line looking for seashells. I focused on finding the ones that were whole, with the traditional opened fan shape. I was looking for the pretty, perfect ones. I only found a few. 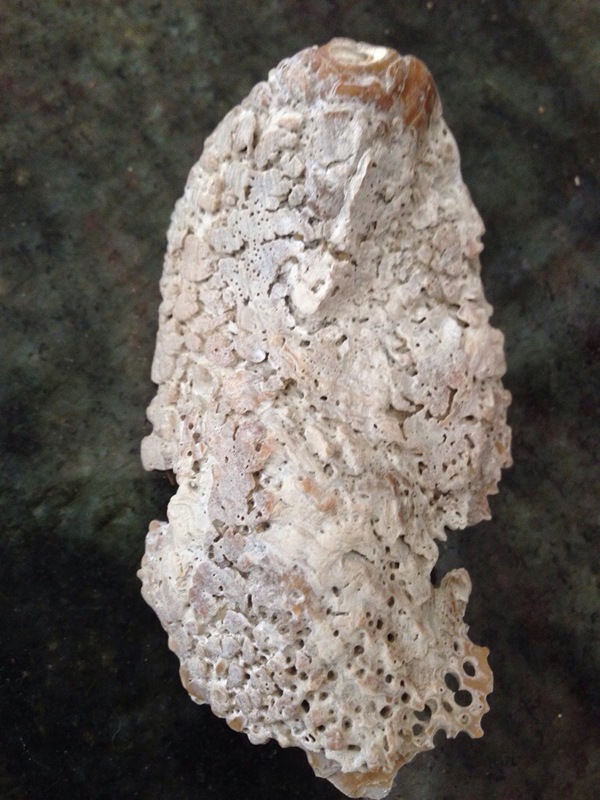 My daughters, on the other hand, picked up shells indiscriminately, or so it seemed to me. Their buckets were full of the broken bits and pieces that were everywhere, the ones I overlooked when I was looking for my perfect specimens. But when they were showing me their finds after we finished, they were as enthusiastic about them as if they had found true treasure. 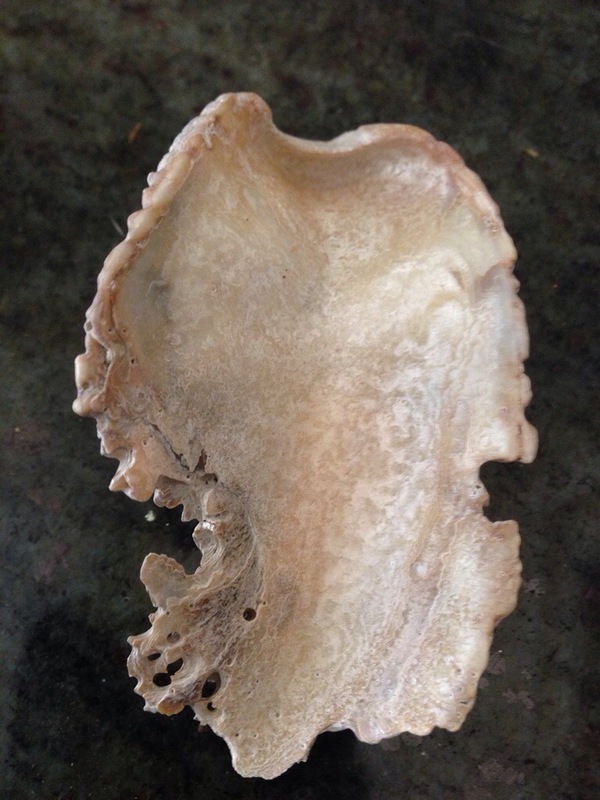 My older daughter would hold up a battered-looking piece of shell and say, “look, mommy, at how this one has bumps and holes all over it. Isn’t it beautiful?” And then she would grab another broken piece, saying “and look at this one! Do you see the color? It is so shiny. 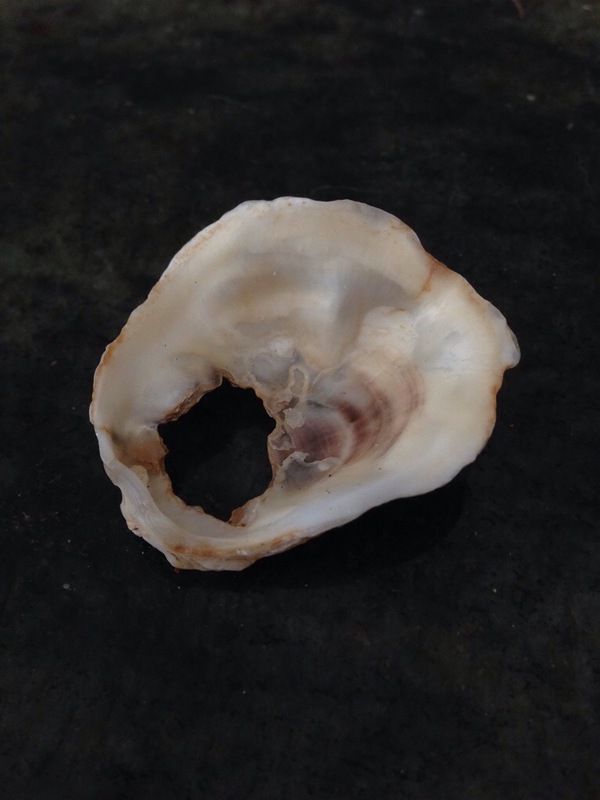 Isn’t this one so beautiful too?” And so it went, with each and every shell she found. They were all broken up bits and pieces, but to her they were all beautiful. And they were beautiful not because of any intrinsic sign of hidden beauty she saw within them. They were beautiful to her because she had set out to find beautiful seashells and so — she did. The magical thing is that when I was looking at the shells on my on later that night, I no longer saw their brokenness. All I saw was their beauty. And I realized that sometimes, finding beauty in life and looking for it are the same thing. 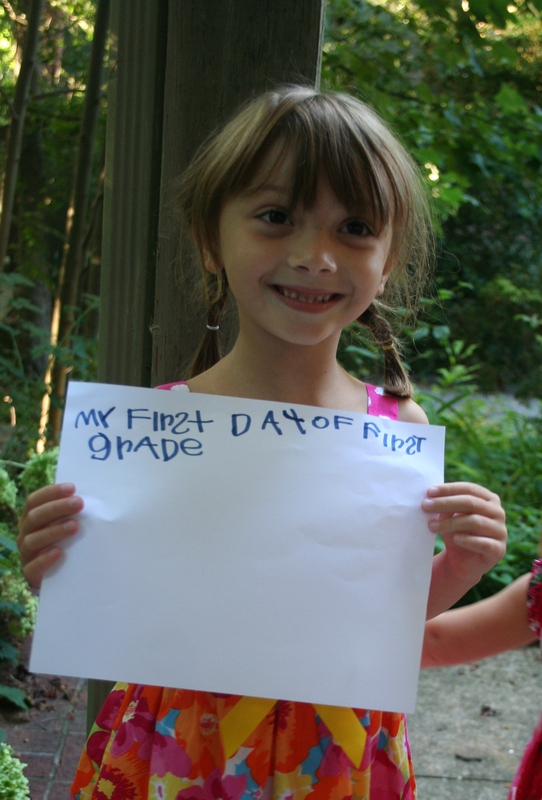 This time last year, I was overcome with anxiety over my daughter starting kindergarten. I was worried for her because public school can be a big, scary place, and I was worried for myself because my mental balance was disturbed by the fact that my girl was growing up too darned fast. 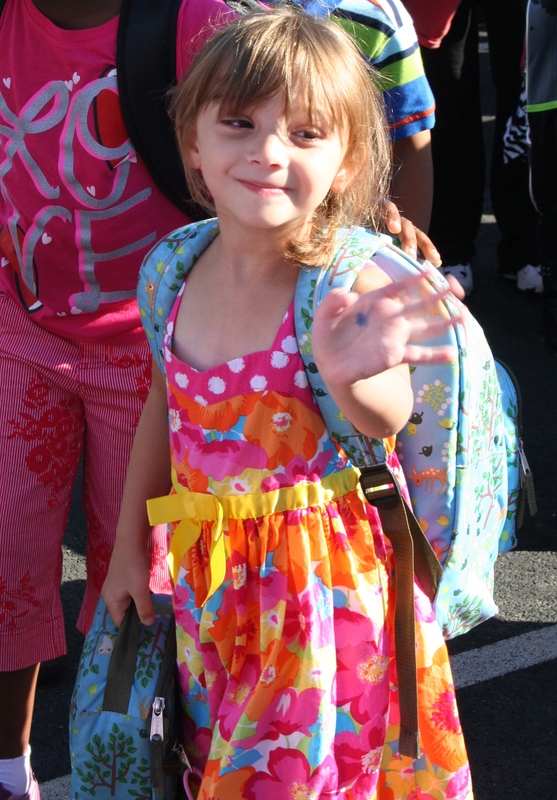 I found out this morning, when I sent her off to first grade, that letting her go off into the big wide world of school wasn’t really all that much easier this time around. Because it turns out that your first grade baby is still your baby, just a year older and even further removed from the tiny, helpless newborn she once was. In six years of parenthood, I can say with some authority that I have learned two things. 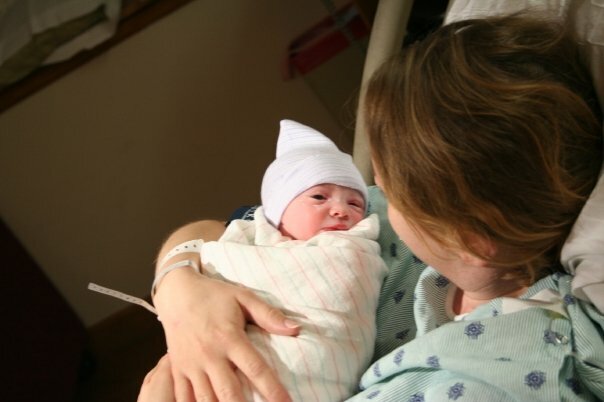 First, I’ve learned that bringing your first child through her newborn phase will feel like the hardest thing you have ever done, and when people with older children tell you that it just gets harder you will want to stab them in the eyes with a fork. And second, I have learned that it just gets harder. I used to think that, once my daughter could just tell me what was wrong, parenting her would be so much easier. It wasn’t. Because once your children start being able to tell you what is wrong and how you can make it better, they start demanding things that are impossible for you to give them. I will never forget the night my daughter, then two, begged me, sobbing, to make the sun rise up again after it had gone down. As much power as we parents have in our children’s lives, we cannot alter the functioning of the universe. My daughters still struggle to accept this fact. As your children get older, their problems get far more complicated. They argue and defy you and do things that are bad for them. They struggle, and there is often nothing — nothing — that you can do to help them. The power you once had to tailor their world to fit them diminishes with every passing year. 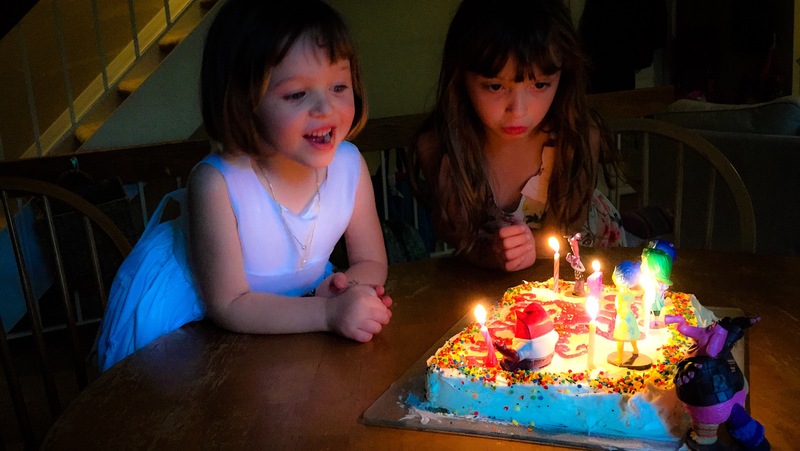 For me, one of the hardest parts of parenting has been coming to terms with the overwhelmingly bittersweet feeling of watching my daughters grow up. I am awed by and in love with the people they are becoming. My girls are awesome, and their awesomeness just becomes more evident as they grow older. I’ve never experienced anything as satisfying as watching my daughters grow into the people they are meant to be — and the best part is that I have many more years to experience this phenomenon. But as they move closer to the people they are becoming, they move further away from me. It is a distance that I feel, physically. My arms were once full of them; if they moved through the world it was because I was carrying them. And now they are moving through the world on their own, with my guidance and love behind them but not surrounding them. I love who they are, but I miss what they were. I never knew that an adult could experience more angst about her children growing up than a teenager does who is in the throes of coming of age. But there you go. Parenthood is hard, and it is hard in so many ways. Fortunately, as I struggle with letting go, my big first grader is delving into the new school year with her customary verve. She is pretty amazing, isn’t she?